In addition to committing to 10,000 steps a day, taking multiple classes a week and following a healthy diet, my pre-70th birthday shape-up includes appointments with my dentist, doctor, financial advisor, spiritual teachers and… a reading from a master of the mystical sciences. Through the social media magic of Facebook, I recently reconnected with a friend I had lost contact with close to 30 years ago. 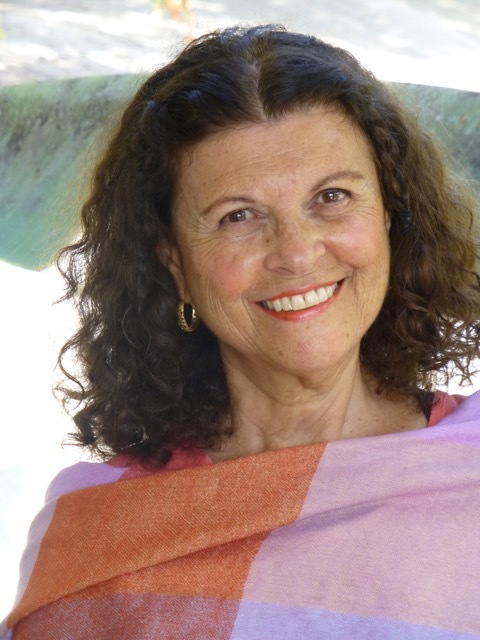 Ellen Goldberg is both a psychotherapist and a master of the mystic sciences of Palmistry, Tarot and Astrology. These ancient tools can show us the tendencies, challenges and gifts we were born with. Using them together, you can get a comprehensive picture of yourself and your current situation. 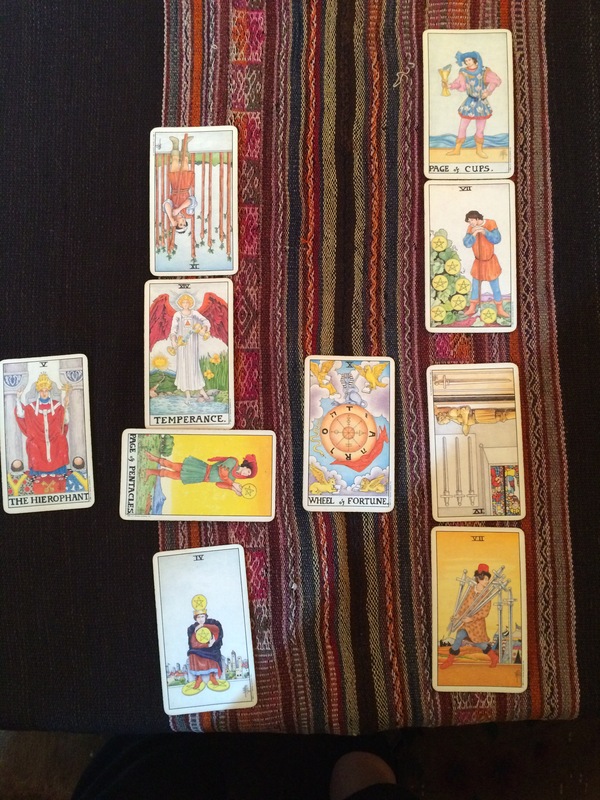 It had been decades since I had a full reading, and this summer seemed like the perfect time. We’ve all heard the expression “It was written in the stars.” A person’s astrological chart is a reflection of what was written. “You were born to spread ideas. That’s what you do best,” says Ellen as she points to the 3rd House of my chart that has to do with Communications and is laden with planets. No wonder why I took to public relations like a duck to water. Could my lack of a mate and children have something to do with the fact that my 7th House, Relationships, is empty? Hmm?? So much of my life, including my independent nature and ability to manage money, made sense as Ellen explained other areas in my natal chart.”You were given a lot of free will in this life.” So true. The lines in our hands are as unique as our fingerprints. A palmist looks at both of your hands. 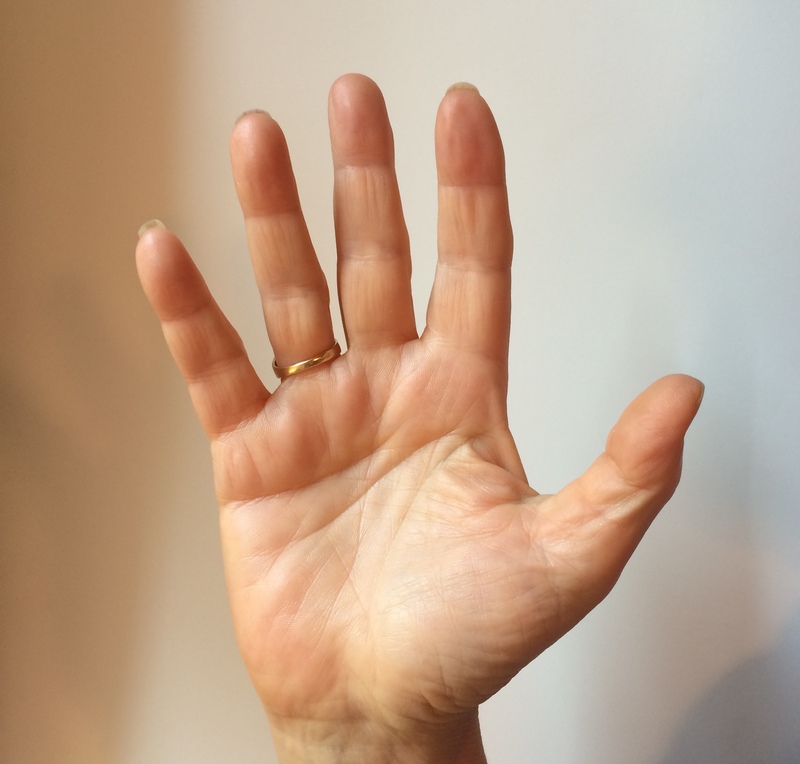 The non-dominant hand, in my case my left hand, shows the qualities you were born with and doesn’t change much over time. The lines of the dominant hand, in my case my right, can change as we make choices in our life. “You’ve always been your own person – even when you were a little girl.” “Your lifeline and your headline have a very healthy separation. You’re an independent thinker.” I’m relieved to hear that my lifeline is long and strong. The round pink patch at the base of my palm below my pinky is called a ‘psychic blush’ and is an indication that I have a highly developed intuition, which accounts for my relying on gut reactions. My palm and my chart told parallel stories. To complete my reading, Ellen brought out her Tarot cards. You ask the cards a general question. Mine was, “What should I know about my future?” After mixing the cards around, I chose ten and gave them to Ellen who arranged them on the table. What was most significant was the card in the middle of the arrangement that represents the present. The Wheel of Fortune signifies positive changes. Yes!!! As I enter this next phase of my life, I am indeed ready for positive changes. Another good one! This is fascinating stuff. Keep on keeping on, girlfriend!